2020 presidential candidate Robert Francis “Beto” O'Rourke was asked by a student when he will release his list of donors as well as provide more details about his campaign policies. O'Rourke attended a meet-and-greet at Penn State University Tuesday, where he called for guaranteed livable wages, preventing college admissions scandals, and other issues. A student asked O’Rourke a two-part question about his campaign. The first question pertained to the candidate’s fundraiser. In a single day, O'Rourke obtained over $6 million for his presidential race, beating all of his other Democratic rivals. O'Rourke celebrated this victory on Twitter Monday and emphasized that none of the funds came from special interest groups or corporations. “Bundling” is when individuals or small groups, which could include lobbyists, business owners or activists, network with other donors to pool their money together for a campaign. Bundling is a legal loophole around contribution limits, where a person can only donate up to $2,700 in one election cycle. These “bundlers” are usually given benefits from their candidates if they win an election, often in the form of political favors. 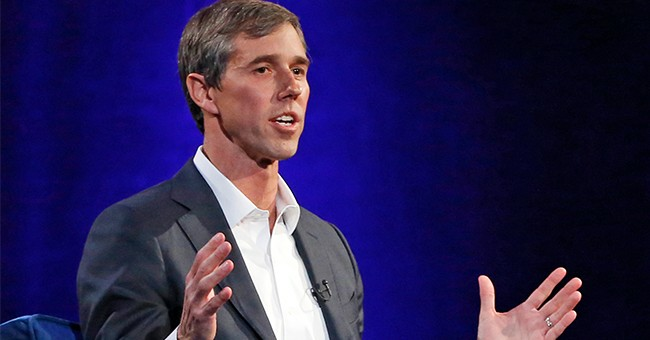 “Your campaign has not released the number of individual donors you have, nor has it released the average donation,” the student said, and pointed out that a former bundler for Barack Obama, Louis Susman, admitted to gathering donors for O'Rourke’s campaign. The student said that his contributions gave, “a bit of a clue” as to whether or not the candidate was relying on bundlers and asked O'Rourke if he was going to release his donation records. The candidate made a shout out to the, “extraordinary women,” in Congress, such as Rep. Jan Schakowsky (D-IL), who introduced “Medicare for America.” The plan would open up Medicare benefits to all children and adults, immediately enroll newborns, and prevent insurance companies from providing plans with more coverage. But unlike “Medicare for All,” the system wouldn’t ban private insurance. O'Rourke finished by saying that during his campaign, he will work to communicate the path he'll take to get to his policy goals, not just explain the goals themselves.